With it a birthday free day we skip straight onto the games previously played. I can claim a hat trick games and they have all been won! 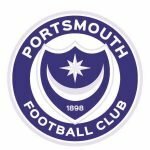 The win over Cambridge at Fratton Park in 2016, another three points at Burnley in 2010 – spent A LONG time in the cricket club pre-game knocking back plenty of booze – and a victory over Port Vale at Fratton back in 1999. What are your memories of the games previously played today?